When 7-year-old Evabelle was diagnosed with type 1 diabetes, her parents found empowerment and support at Children’s Hospital Los Angeles. Sometimes, the early signs that a child is ill can be so subtle, a family may not realize what’s happening—until later, with hindsight. 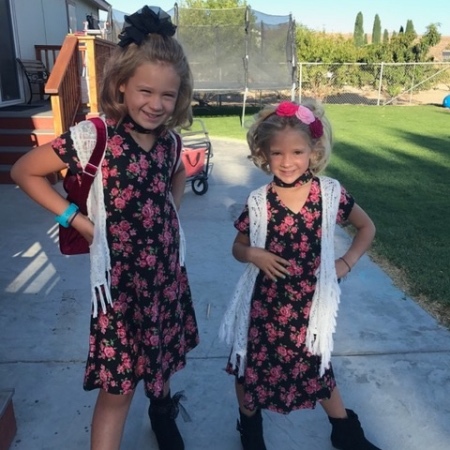 For one family from Bishop, California, one of the first indications something was wrong with 7-year-old Evabelle (“Belle”) came when she stopped reading “Charlotte’s Web,” the book she had been immersed in. “We didn’t realize that meant anything,” says her father, Waylon. The next signs were more obvious. At dinner, Belle suddenly looked vacant-eyed, her mother, Jami, remembers. Her parents asked Belle if everything was OK at school or if something bad had happened, and Belle said all was fine. The next day, Belle threw up in the car. She was listless and constantly thirsty. By nighttime, she had dark circles under her eyes and “looked like a zombie,” her father says. That night, Jami slept on the floor beside Belle’s bed. When Belle woke and started to gasp for breath, her parents rushed her to the local hospital. There they got a diagnosis they didn’t expect: Belle had type 1 diabetes (T1D). The news came as a mixture of shock and recognition. For Waylon, who had no family history or experience with diabetes, the diagnosis was overwhelming. Jami was, in a way, relieved—she had worried Belle might have leukemia. From the age of 10 until she turned 18, Jami had helped her father cope with his type 2 diabetes. “I knew how to handle this,” she says. Most adults are diagnosed with type 2 diabetes, where the body has trouble utilizing insulin, a hormone produced in the pancreas that regulates the amount of glucose in the blood. For patients with Type 2 diabetes, the origin can be a combination of genetics and lifestyle choices. Type 1—the diagnosis more commonly seen in children—is different. In T1D, the body’s immune system attacks the insulin-producing cells (beta cells) in the pancreas by mistake and destroys them. The cells can’t produce sufficient insulin, and glucose levels rise. As in Belle’s case, someone with T1D can eventually get sick and dehydrated if not diagnosed quickly. Less common than type 2, T1D affects about 1 in 300 people. The Division’s expert team of endocrinologists, nurse practitioners, nurses, dietitians, social workers, psychologists, and other diabetes specialists routinely care for some 2,000 children with diabetes per year. But before Belle’s family could arrive at CHLA, they had to get Belle’s crisis under control. The day of that critical diagnosis, Belle was airlifted from Bishop to a larger hospital in Reno, Nevada. 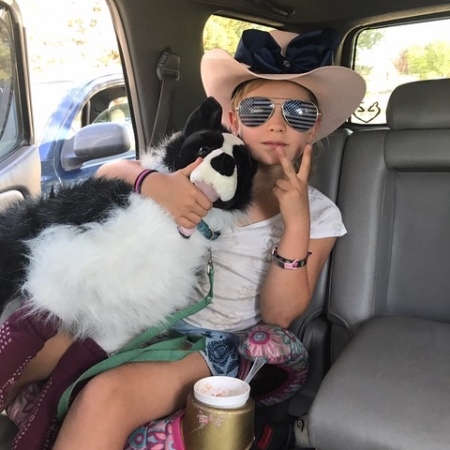 Jami flew with her, while Waylon dropped off their younger daughter, 6-year-old Aurora, at his mother’s home, and left the family dogs in his father’s care. He asked neighbors to watch over their 4-H goats and ponies. Then he drove the 200-plus miles to Reno. “It seemed like someone had moved it farther away on the map,” he says. Over several days, the medical team in Reno stabilized Belle’s condition, though her blood sugar levels remained somewhat erratic. 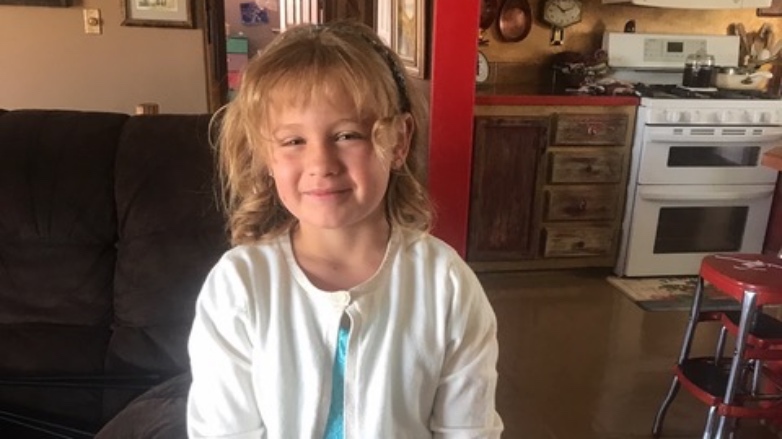 When her parents asked about getting Belle an insulin pump, which would deliver the needed doses automatically, hospital personnel said that could take at least a year. The family went home to Bishop and began their new reality. Fortunately, they already lived a healthy lifestyle at their home 18 miles outside of town, hiking, horseback riding and waterskiing on a regular basis. They knew how to cook healthy food, and Belle preferred veggies over carbohydrates and sugar. Still, the way forward was unclear. Then serendipity happened, in the form of Barbie McCoy, a client of Jami’s nail business who had become such a close friend over the years that Jami calls her “Aunt.” Barbie, who lives in Los Angeles, said she had a longtime friend, Brooke Anderson, who happened to be a member of the CHLA Foundation Board of Trustees. Both Barbie and Brooke told the family they needed to see the diabetes experts at CHLA. Barbie opened her home to them. Within a few hours, under CHLA’s experienced care, Belle’s blood sugar levels were under control, and she and her parents were learning what they needed to do to move forward. The team equipped the family with the latest continuous glucose monitoring system, which saves Belle from having to do “finger sticks” to check her glucose levels. And they asked Belle’s parents how soon they wanted the insulin pump, which can deliver insulin based on each user’s personal setting, avoiding the need for injections. Then they ordered it—without delay. Armed with new knowledge, the family returned to Bishop. School brought welcome routine, and other helpers. Belle’s second-grade teacher sets an alarm ahead of snack time, so Belle has time to check her blood. Her classmates remind her as well. Belle hasn’t started using her insulin pump yet, preferring to give herself shots for now. Her parents are letting her decide when she’s ready. Currently there is no known prevention for type 1 diabetes — no therapies that can alter the immune system and stop it from destroying beta cells in kids like Belle. CHLA is on the front lines of research as a member of TrialNet, an international network of researchers exploring ways to prevent, delay and reverse the progression of T1D. CHLA’s TrialNet team performs more than 300 screenings annually of family members of people with T1D to assess their risk for developing the disease and evaluate immune system modulators in prevention. CHLA also participates in three prevention trials for family members whose screening results suggest they have a high risk of developing T1D. To help kids just like Evabelle, consider making a donation to Children's Hospital Los Angeles. Visit CHLA.org/Donate.